It may be time to draw a tear on the detachable eyes of Hasbro's Mr. Potato Head. That's a likely reference to Walmart (WMT) and Target (TGT), which accounted for about 30% of Hasbro's sales in 2017. Amazon (AMZN) is also becoming a bigger player in toys. Goldner alluded to that by noting "the rapid shift to a converged retail environment." Wall Street begs to differ. Although shares of Hasbro (HAS) were up Monday, the stock is still down more than 10% over the past year. Hasbro and rival Mattel (MAT) are struggling as kids play more games on smartphones and tablets and with other high-tech toys. 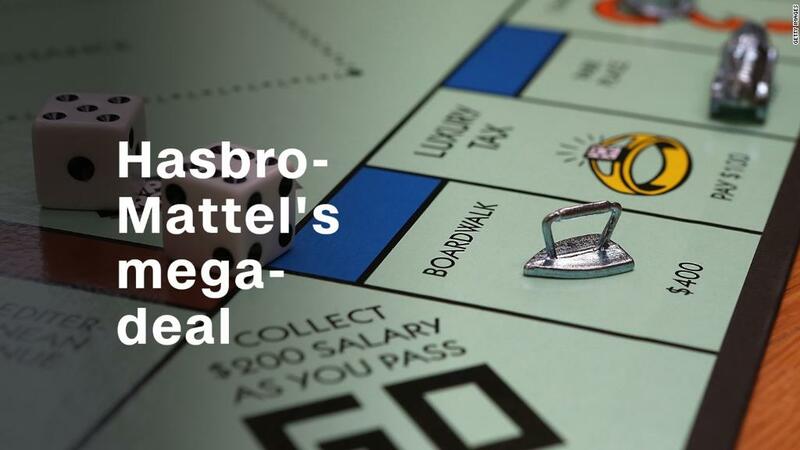 The turmoil in toy land has also led to speculation that Hasbro and Mattel might merge. Margo Georgiadis, who just left Google (GOOGL) a little more than a year ago to become the CEO of Mattel, announced last Thursday that she is abandoning Mattel to go back to Silicon Valley as CEO of the venture capital-backed genealogy company Ancestry.